Do you ever reward yourself just because? Well, today I did. My morning started off trying to drag myself out from under my cozy comforter in a darkened room thanks to this ##### time change. This was followed by the usual routine of showering, getting N ready for a fun filled day at school with a full belly, packed lunch and snack, warm clothes, and clean teeth. We had an amazing walk to school with a gentle snow falling around us. While walking home with a friend and neighbor, I learned that her birthday was Sunday. So, my brain starts churning. What would this person enjoy and what little gesture can I do that helps her celebrate her special day, even if I am two days late. So, after sitting in a doctor’s office watching one pregnant woman come in after another, I had some blood work done. Now, here is where I decide to reward myself. I drove to our quaint little bookstore called The Tattered Covered. I perused the magazine section looking for a gardening magazine for my friend. She loves flowers and gardening, and I knew she would reward herself by looking at this magazine while sipping a cup of hot tea after her four kiddos are in bed. Of course, I also flipped through several house decorating magazines, wandered over to the card section to find the perfect Bday card and checked out the kid’s section and business section (I know, a little nerdy). Well, I had to pass by their Coffee Shop on the way out. So, I bought this little reward. I first tasted this gem of a drink when we were in Breckinridge this past weekend, as I wrote about here. So, as I write this post today, I am sipping on this baby, 16oz baby to be exact with a smile on my face. Before I end this post, I had to share a line of cards that I discovered while touring the bookstore. They are by Positively Green. I will let you in on a secret…I am a card hoarder. 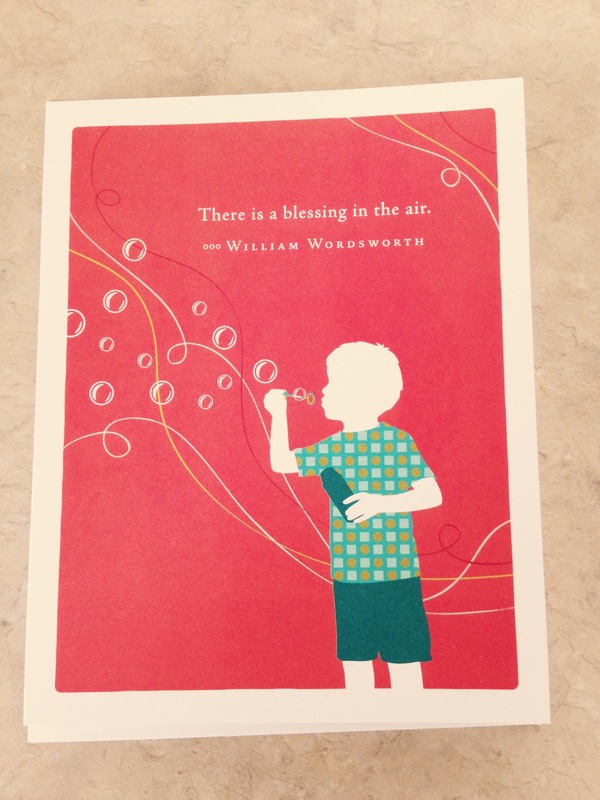 I buy cards just because I love the picture or the saying. This time was no different. I will share my little craft with these cards in a later post. Here is the card I chose. I miss my friends in NC. It is a blessing that I have such an amazing neighbor who makes me feel right at home. Do you have a reward that you give yourself from time to time just because? What is it? Please share. I love chai latte! It’s the absolute best! Randi, I cannot believe I am just now trying it. A great alternative to coffee in the afternoons. I started my day the same way! Silly time change. Glad you have a great neighbor! I hope all is well with the doctor too! Oh, and I love a good chai tea latte too! Stephanie, you would think 1 hour would not make such a difference. Maybe it is all in my head. 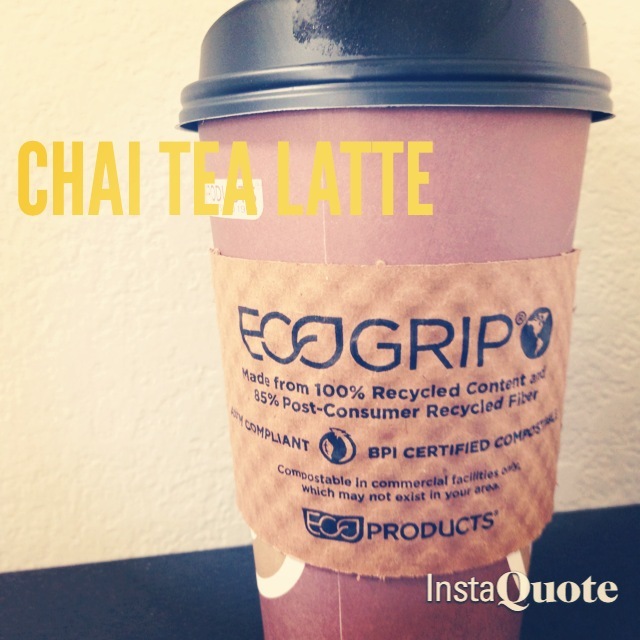 When you visit, we will enjoy good conversation while sipping a chai tea latte. You, my friend, were a great neighbor. Miss you.